SudokuSolver is a command-line Java program that solves sudoku puzzles. 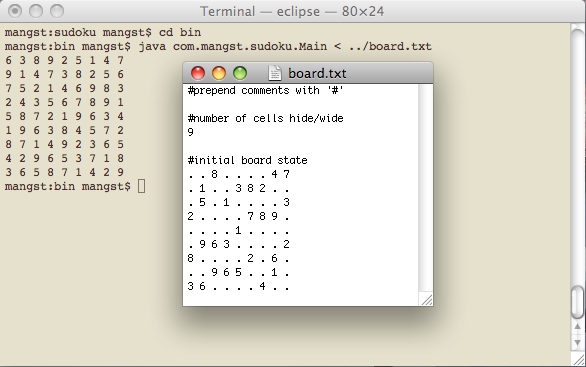 Save the starting state of your sudoku board to a text file. Run the program, passing in your board input via stdin.